（1）Kuniya H, Aota Y, et al. Prospective study of superior cluneal nerve disorder as a potential cause of low back pain and leg symptoms. J Orthop Surg Res. 2016; 9: 139. （2）Kuniya H, Aota Y et al. 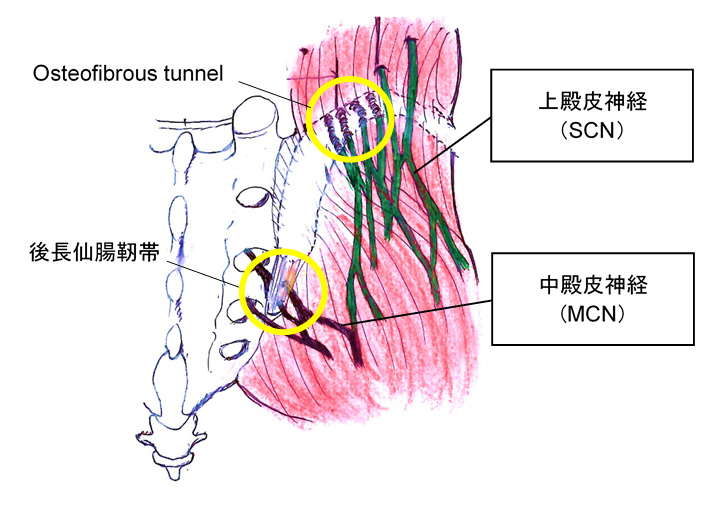 Anatomical study of superior cluneal nerve entrapment, J Neurosurg Spine. 2013; 19: 76-80. （3）Konno T, Aota Y et al. Anatomical study of middle cluneal nerve entrapment. J Pain Res. 2017; 10: 1431-1435. （4）Toyohiko I, Kyongsong K et al. Superior and middle cluneal nerve entrapment as a cause of low back pain. Neurospine. 2018; 15 (1): 25-32.